What a way to set the foundation for an incredible vacation to the Bay Area. Without question the Seahawks played their most complete game of the season on Thursday night, dominating the San Francisco 49ers all night long. The result was a 20-3 victory where in all honesty the 49ers never were competitive. The Seahawks improve to 3-4 on the season and the 49ers now hold a record of 2-5. Here are my thoughts on Thursday’s game. Running Game Gets Going and Russell’s Good Throws: The very first Seahawks offensive drive of the game set the tone for the rest of the evening and they did not look back. Running back Marshawn Lynch ran for 32 yards on the opening drive culminating in a 1-yard touchdown run. The offensive line protection allowed quarterback Russell Wilson to convert two first downs through the air on passes to Tyler Lockett and Fred Jackson. Offensively, Russell put the game away on his beautiful 43-yard touchdown pass to Lockett in the second quarter. Late in the game we were able to chew clock thanks in large part to the wonderfully basic play calling of offensive coordinator Darrell Bevell. After roasting Bevell almost every week thus far this season, I must say he called a great game on Thursday. We now have a good blueprint to run with for future games. Another day like this in Dallas next week and we will be very hard to beat. Have A Day, Michael Bennett: After recording just 13 sacks in our first 6 games, the Seahawks came out and had a sack party in Santa Clara. Leading the way was defensive end Michael Bennett who singlehandedly recorded 3.5 sacks of 49ers quarterback Colin Kaepernick. To make matters even better, Bennett made no mental mistakes that he has become known for so far this season. The production of our defensive pass rushers leaves me very optimistic about our upcoming games. Even though we did not force any 49ers turnovers it feels like our entire defense has turned a corner. I understand that the San Francisco offense is not very good but hopefully our ability to successfully close out a game in the fourth quarter will give us momentum heading into next week. The Bad: There were two things I did not like on Thursday night. The first thing was the Russell Wilson’s decision making on the two interceptions he threw. The first one was a ball thrown at the very end of the first half. He saw Doug Baldwin in the back of the endzone but did not see Tramaine Brock. Brock stepped in front of the pass and made the interception in the endzone. A score of any kind would have given the Seahawks at least a 20 point lead heading into halftime. Wilson’s second interception was thrown into double coverage intended for Jermaine Kearse. From my view in the corner at Levi’s Stadium I saw Wilson had Doug Baldwin wide open and could have hit him in stride if he threw the ball a second or two sooner. Luckily that second turnover only resulted in the only 3 points the 49ers scored all night. The second thing I did not like was the continuing shaky play of the Seahawks offensive line. Their performance was buried among the big plays and the way the game played out overall. It was until after the game I realized the offensive line played a subpar game when I saw that the unit allowed another 5 sacks of Russell Wilson. Next week in Dallas may be a greater challenge. A similar offensive approach however may work well against the Cowboys. Thoughts on San Francisco: This 49ers team is a disaster and the saddest part may be that their fans definitely know it. They have a banner hanging the length of the press box that says “home of the faithful” but the fans were anything but faithful on Thursday night. This team has talent but they are in need of a partial rebuild to get back to where they were a mere two years ago. With the future of Colin Kaepernick uncertain and the defense lacking experience it may take another couple of seasons for the 49ers to contend for even a division title. Let’s see if ownership is willing to give head coach Jim Tomsula that long of a leash. Random Thoughts: The Seahawks wore wolf grey and improved their all-time record wearing wolf grey to 6-0… Levi’s Stadium is an absolutely gorgeous facility. The fans of the two teams who make it to Super Bowl 50 will certainly enjoy the gameday experience in that building. The tailgating in Blue Lot #1 was a lot of fun, even though the lot was gravel and we got there so early that the tailgates around us were not fully raging until shortly before we made the walk over to the stadium. Next time I head to Levi’s I’ll probably try to get a parking pass in the green lot since it is closer… The 12’s really traveled well this week and we were certainly heard. 49ers fans didn’t even seem to care that their stadium had been taken over by the enemy. It was kind of bizarre and nothing like what I had experienced at Candlestick Park in years prior… Beer and food prices were a little steep but the variety was hard to beat. I bought a couple of hot dogs but two of my friends enjoyed curry, which they generously let me taste test. It was delicious… The view was great but the sun beat down on us for about the first quarter which was both hot and annoying. I consider it lucky that this game was in primetime. We would have been baking and extremely uncomfortable if it was a Sunday afternoon game… After the game we tried to go down to the NFL Network postgame show but the seating hosts would not let the large contingent of Seahawks fans down to the lower level seating, most likely because they did not want to show just how many Seahawks fans took over Levi’s Stadium. Take my word, if they had let all of us down there it would have challenged the number of fans who were waiting around after the Seahawks beat Arizona on Thursday Night Football in 2013… As we waited for traffic to die down after the game we decided to continue our tailgate. A group of 7 of us enjoyed a few celebratory beers before heading back to downtown San Francisco where we were staying… I will definitely want to go back to Levi’s Stadium with friends in future years. I had a great time and I know the other two guys I stayed with did also… Fight on. What’s Next: Look for my preview of next week’s game against the Dallas Cowboys on Friday evening, a day earlier than normal. For the second time in as many years the Seahawks head to Silicon Valley for primetime football. The Seahawks and San Francisco 49ers face off under the Thursday Night spotlight at Levi’s Stadium. After another heartbreaking loss last week the Seahawks sit at a very underwhelming 2-4. After one of the worst offseasons in NFL history, the 49ers have also jumped out of the gate slowly as they too sit at 2-4. San Francisco however enters this week’s game coming off a win over the Baltimore Ravens last week. The Seahawks lead the all-time series against the 49ers 18-15 including a 17-7 victory in their last meeting last season. This is must-win for the Seahawks since they cannot afford to lose any more ground in the division race. Here is what I’ll be watching for. While I was busy putting offensive coordinator Darrell Bevell on blast in my game review, I completely failed to mention that there has been a change along the Seahawks offensive line. Patrick Lewis got the start at center in place of Drew Nowak and although I saw improvement in interior blocking and pass protection last week, the play of the unit as a whole continues to be an issue. Lewis got hurt in last week’s game so Nowak will likely be back in the starting lineup this week with the newly re-signed Lemuel Jeanpierre as his back up. 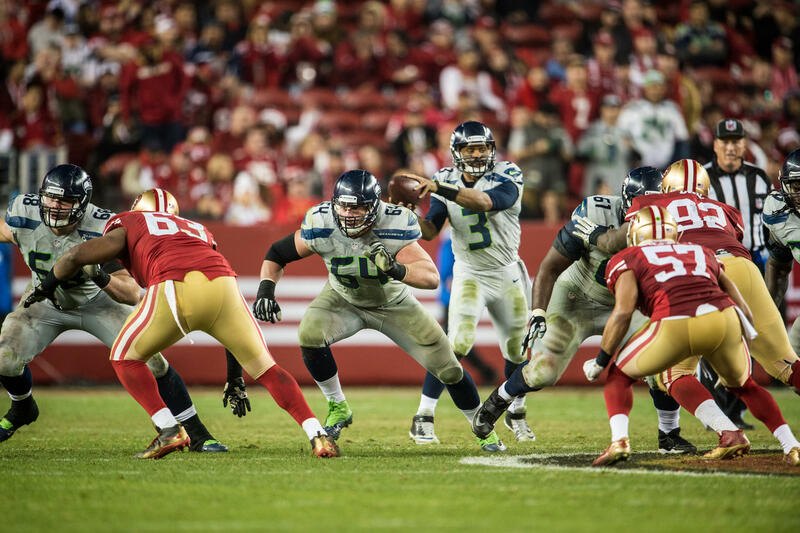 Quarterback Russell Wilson was sacked four more times against Carolina. Although the San Francisco defense has lost a lot of talent from last year’s team, they have managed to record 9 sacks so far this season, over half of them coming from their linebackers. This week it will be necessary for Jimmy Graham, Will Tukuafu, and Marshawn Lynch to block in order to help give Wilson time to make throws. The primary keys to a successful day on offense mirror what I said about Carolina’s offense a week ago. If Marshawn Lynch can run effectively he will take immense pressure off the passing game. Also, if Wilson uses misdirection regularly it will create space to make big plays. Although Seattle has not used read option much at all so far this season, do not be surprised to see it make an appearance in this game, especially if we are trailing in the second half. With the shaky play in the third level of our defense in recent weeks, the best way to attack the 49ers offense on Thursday is to force quarterback Colin Kaepernick into short and intermediate throws only. If the Seahawks cannot put consistent pressure on Kaepernick that may actually be a good thing, as he has thrown the ball well deep down the field when forced to scramble outside the pocket, including a long touchdown pass to wide receiver Torrey Smith last week. Smith will line up across from Cary Williams, the matchup that will garner the most attention from me outside the numbers. I think the presence of middle linebacker Bobby Wagner will be the most important aspect of our defensive game plan. Although we played a solid game with Kevin Pierre-Louis in place of Wagner against Carolina, it will help greatly to have Wagner back to lock down the middle of the field. No team may have lost more over one offseason than the San Francisco 49ers did over this past offseason, especially on the defensive side of the football. It is hard to believe that only two defensive starters from the 49ers 2012 NFC Championship team, linebackers Ahmad Brooks and NaVorro Bowman, remain on the roster. Over the course of the last 10 months the 49ers released outside linebacker Aldon Smith after a series of run-ins with the law. They also lost nose tackle Justin Smith and middle linebacker Patrick Willis to retirement. To make matters even worse the man they drafted last season to be the heir apparent to Willis, Chris Borland, also retired due to future health concerns. The loss of Borland was particularly unfortunate because he was a tackling machine in place of the injured Willis a season ago. This season San Francisco has allowed an average of just about 27 points per game, a number that greatly correlates to the 49ers record thus far. The 49ers linebacker corps will have my full attention as they sport the two leading tacklers on the team in Bowman and Michael Wilhoite. However given the below-average pass protection Russell Wilson has received this season my 49ers X-Factor spotlight goes to the man most effective at getting to the quarterback. My X-Factor Player to Watch this week is outside linebacker Aaron Lynch. Lynch has recorded 3 sacks this season; a third of San Francisco’s total and all three coming at Levi’s Stadium. Lynch is also coming off his most productive day in coverage, recording a season high 5 tackles and one pass defensed this past Sunday. Keep an eye on how left tackle Russell Okung handles Lynch on the outside. Random Thoughts: No word yet on the Seahawks uniform combination but do we have 5 road games remaining. We will don college navy for one of those games (Dallas). With two opportunities to wear wolf grey still available to us, that means there is a 50/50 chance we wear wolf grey in San Francisco. It’s basic math, people. The 49ers have elected not to wear their new all-black alternate uniform for this game. Instead they will wear their traditional look of red jerseys and gold pants… Jim Nantz and Phil Simms have the call on the NFL Network/CBS simulcast with Tracy Wolfson covering the sidelines… The referee this week is Walt Anderson… Thursday will be an incredibly hectic and exciting day. I’m looking at a 4am wakeup call followed by a 7am flight to San Francisco which gets me into the Bay Area around 9 or 9:30am. Then comes a 4-hour window before the parking lots open at Levi’s Stadium. Tailgate will begin shortly after 1:30 then the game at 5:30. Then back to San Francisco after the game for the rest of the weekend… Should have waited to pull the trigger on tickets on Stubhub. I can’t believe prices have dropped as much as they have since the season started… I’ll be satisfied with at least two visits to In-N-Out Burger over the next 4 days… I love flying into SFO. The airport runway setup right off of the bay is unlike any other city I have flown into… Here is my history of being heckled at 49ers home games. In 2011 one drunken 49ers fan tried to sit on my lap and as he walked away he screamed “SEATTLE SEAHAWKS GINGER FRO” in reference to my incredibly long red hair. In 2012 I posed for a picture during a timeout and someone sitting above me in my section screamed “ginger on three! One, two, three!” In 2013 after posing for a picture a 49ers fan sitting a few rows above me threw a sandwich in my direction. It hit a 49ers fan sitting about 4 rows below me and he looked back and made eye contact with me. Because I was wearing Seahawks paraphernalia, he assumed I was the one responsible for the sandwich being thrown. He probably wanted to get security involved but the people around me seemingly convinced him I was not to blame. Granted all these incidents happened at Candlestick Park, but I have heard (and seen on Deadspin) that the Candlestick crowds make the drive down to Santa Clara every week. Hopefully the people around us are nice. I hope my friends and I are not the subjects of harassment. As long as we stay in our own lane and root for the Seahawks only, we should be fine. Prediction: Due to the incredible sense of urgency after back-to-back devastating losses, I believe the Seahawks will come out with a vengeance. Marshawn Lynch will run for a touchdown and Russell Wilson will both throw a touchdown and run one in from inside the redzone. 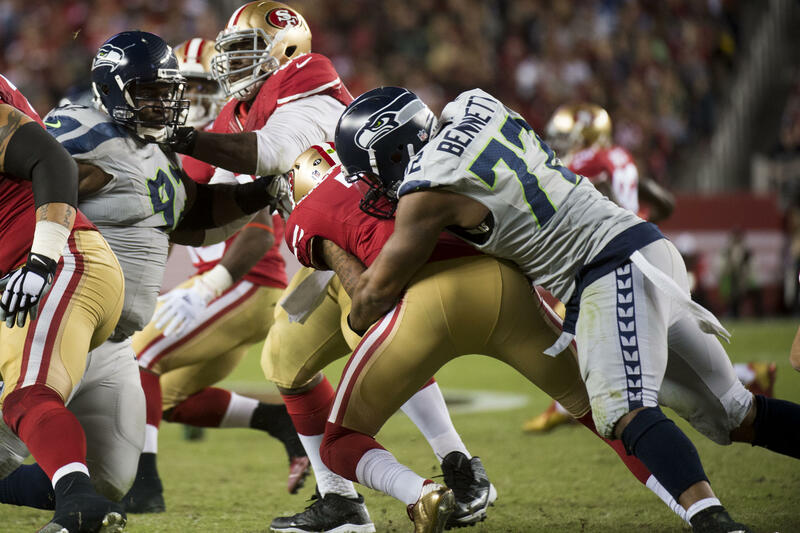 The Seahawks defense will play an air-tight game, allowing only one 49ers touchdown. The Seahawks will come home 3-4 and will have an extra couple days off before we get started on the Dallas Cowboys. Programming Note: I will be leaving my computer in Seattle so I will not be able to post my game review until I get home. Look for my 49ers review either late Sunday night or early Monday morning. For the second straight week the Seahawks blew a lead late in the game and they were unable to complete a last-minute comeback attempt. The Carolina Panthers came into Seattle and exited with their first win ever at CenturyLink Field, defeating the Seahawks 27-23. The Panthers improve to 5-0 while the Seahawks fall to 2-4. Again, many different groups were to blame for this loss but for yet ANOTHER week I point the finger at the play calling of offensive quarter Darrell Bevell. Do not get me wrong, a defense as talented as the Seahawks should be able to hold a lead, but the plays that were called on the second-to-last offensive drive of the game leaves me fuming mad. This review is entirely dedicated to that drive as I give my thoughts on each of those 5 plays. 1st & 10, Seattle 20 Yard Line, 3:55 Remaining: Hindsight is 20/20 on this play, and it was a similar feeling to the 3rd down completion to Jermaine Kearse at the end of the Detroit game two weeks ago. The Seahawks broke the huddle in a shotgun formation with 5 wide receivers spread out. My first thought was why in the world are we throwing the ball on first down?! Even though Carolina had all three of their timeouts and the two-minute warning to work with, we had been marginally effective running the ball with Marshawn Lynch in the second half. Anything short of a first down on this play and Seattle would have either gotten Carolina to burn timeout #1 or chewed the clock down to about 3:10 left. Luckily Russell Wilson connected with Jimmy Graham for a 20-yard gain to keep the clock going and give us a fresh set of downs. Regardless, my personal philosophy would be to establish the run on first down and we refused to do so. 1st & 10, Seattle 40 Yard Line, 3:05 Remaining: Oh goodie! Another first down opportunity and another chance to establish the run! Instead, Russell Wilson dropped back to pass and kept the ball for a two yard gain. The clock would have kept on running. Unfortunately Marshawn Lynch was called for holding on the play, moving the ball back 10 yards. 1st & 20, Seattle 30 Yard Line, 2:52 Remaining: Regardless of the penalty, we still had a first down to work with. It was yet another opportunity to run the ball and potentially chew clock. For the third time Bevell dialed up a pass, this one winding up being incomplete intended for Marshawn Lynch. This would have been a perfect place to run read option to gain those penalty yards back. It was a high-percentage throw but with an offensive line that struggled once again on Sunday, Russell Wilson dropping back to pass is not the smartest move to make in this first down situation. To make matters worse this incompletion stopped the clock and Carolina was not forced to take a timeout. If the Panthers defense forced the Seahawks into a three and out, they now would have at least one timeout in their back pocket when they get the ball back. YOU MUST BE ABLE TO KEEP THE CLOCK RUNNING IN THESE SITUATIONS LATE IN THE GAME. Incomplete passes DO NOT get the job done!!!!! 2nd & 20, Seattle 30 Yard Line, 2:45 Remaining: Another pass. This time however the line collapsed and Russell Wilson checked down to Marshawn Lynch who was stopped for no gain. Carolina decided to use their first timeout to stop the clock. It may be understandable to throw here but Seattle needed 20 yards to move the chains, a little dump off pass simply does not cut it. Now the Seahawks need to gain 20 yards on one play in order to extend the drive. You have to do something to give Wilson better protection in order to make a throw down the field. 3rd & 20, Seattle 30 Yard Line, 2:36 Remaining: Yet ANOTHER pass, but it was obviously warranted since we were backed up so far. Once again the pass protection was nonexistent and Wilson was sacked for a three yard loss. Carolina then called their second timeout. The Seahawks were forced to punt the ball back to Carolina with two and half minutes to play with the two minute warning and one timeout at their disposal; plenty of time to go down the field to either tie the game or take the lead. I honestly do not know what else I can say on this matter. For the second straight week Darrell Bevell’s persistent naivety to not run the ball failed the only obligation the Seahawks had, to protect the lead. The past couple of seasons the Seahawks defense had done enough to win games. Now games are coming down to the wire and week after week more fans are starting to see how inept Darrell Bevell is at calling plays. He tries too hard to be an offensive guru. When executed correctly these pass plays give the 12’s the false perception that Bevell is an offensive genius. He is NOT an offensive genius. Bevell’s play calling combined with the offense’s inability to execute his terrible plays is now starting to make this feel like an unexpected lame-duck season destined for our first playoff-less season since 2011. As farfetched as it may sound right now, I would rather see Steve Sarkisian be reunited with Pete Carroll as our offensive coordinator in 2016. FIRE. BEVELL. What’s Next: The Seahawks turn right back around for Thursday Night Football next week. Look for my preview of our next game against the San Francisco 49ers on Wednesday. For the second straight week the Seahawks will face off against an undefeated opponent, this time at the friendly confines of CenturyLink Field. The defending NFC South champion Carolina Panthers come to town to take on the Seahawks in what will be their 4th straight season meeting in the regular season. The Panthers have gotten off to a 4-0 start and control first place in the NFC South. The Seahawks of course are 2-3 after losing a heartbreaker in Cincinnati last Sunday. The Seahawks lead the all-time series with the Panthers 7-2. 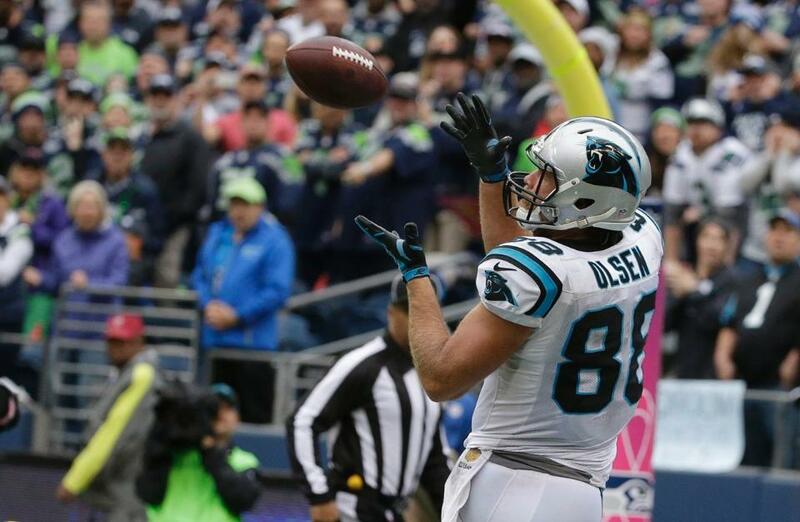 Their last meeting came back in January when the Seahawks dismantled Carolina 31-17 in the NFC Divisional Playoffs. Before the season many 12’s would have rolled their eyes at this matchup and assumed a win was imminent. Instead this will be a very difficult game for the Seahawks to win and they are going to have to earn it. Here are some points of emphasis I will be looking at in this game. Last week before the Seahawks defense collapsed late in the game the Seahawks offensive line did a decent job of protecting quarterback Russell Wilson. With no personnel changes coming along the line this week, I expect more improvement from this unit. It will be a challenge because once again the Seahawks will face one of the best defenses in the league. Last week the Seahawks offense found success especially in the long passing game. Jermaine Kearse and Doug Baldwin in particular had very productive days. Against Carolina expect to see more of what worked against the Bengals, including deep shots, and intermediate passes in the middle of the field. Running back Marshawn Lynch is also expected to be back this week which should bolster Seattle’s offensive game plan. Keep in mind however that in his last 4 games against Carolina, Lynch has run for an average of only 62 yards per game. The Seahawks will be in good shape if they can score at least 24 points on Sunday. This week on defense the Seahawks must play a clean game. My eye will be on Michael Bennett in particular. Last week Bennett was flagged for a personal foul penalty at the end of the first half and he also jumped offsides once, something that has unfortunately become his trademark. Eliminating penalties will go a long way in making sure we have a successful day on defense. The evolution of Panthers quarterback Cam Newton has steadily progressed in 2015. With limited resources around him at the skill positions, Newton has had to take the game into his own hands to make big plays happen. Newton should absolutely be the Seahawks defense’s number one priority. The Seahawks have yet to face a duel-threat quarterback this season but have done an excellent job in stopping Newton in prior matchups. This season Newton has only thrown for 200 or more yards one time, and he is averaging 49 yards per game on the ground. In his career against the Seahawks however Newton has averaged only 171 yards per game passing and 35 yards per game running. 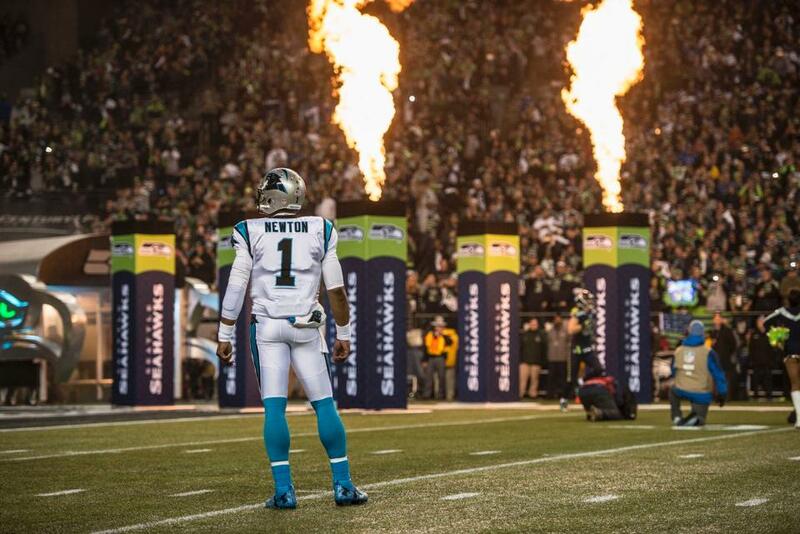 Shutting Newton down will mean the Seahawks will likely come out of this week with a win. As I said above, the Carolina Panthers offense is missing key playmakers due to injury. Starting wide receiver Kelvin Benjamin is out for the season with a torn ACL and receiver Stephen Hill is also unavailable. In the passing game it will be up to rookie Devin Funchess and veteran tight end Greg Olsen among others to get open for Newton to be effective through the air. It will be an extremely difficult task, but in my eyes the best way for the Panthers to be successful on offense is to pound the rock with running back Jonathan Stewart. Stewart is now the lone option in the backfield after the departure of DeAngelo Williams. Using the read-option with Stewart could take a lot of pressure off of Newton. Keep in mind however that Stewart has not scored a touchdown yet this season and is only averaging 55 yards per game on the ground. Misdirection must be a key component for the Carolina offense in order to trick the Seahawks defense for yards and possibly even points. Of all the defenses the Seahawks have faced so far this season, no unit may be better as a whole when healthy than the Carolina Panthers defense. This week the Panthers will be close to full strength with the return of all-pro middle linebacker Luke Kuechly from a month-long concussion. Outside linebackers Thomas Davis and rookie Shaq Thompson have combined for 37 tackles and a pair of sacks in their first 4 games and the secondary is anchored by Josh Norman at cornerback who has averaged in interception in each game thus far. Defensive end Jared Allen was traded to Carolina from the Chicago Bears two days after Allen suited up for the Bears in Seattle against the Seahawks in our home opener on September 27th. Although he has been ruled out with a back injury, Allen should have a fresh memory of what he went up against three weeks ago so his expertise and mentoring of the rest of Carolina’s defensive personnel could give them a leg up in game preparation. My X-Factor Player to Watch for the Panthers is likely the primary beneficiary of Allen’s injury, defensive end Mario Addison. After recording two sacks in their season opener, Addison has made minimal impact rushing the passer. His season high for tackles is 4 back in week 3 and he did not show up on the stat line in their last game against Tampa Bay. With the help of Allen in the film room however, do not be surprised if Addison makes a big impact in this game. Random Thoughts: All navy everything for the Seahawks this week. The Panthers will wear white tops and silver pants… Sam Rosen and John Lynch have the call for FOX with Pam Oliver reporting from the sidelines. Rosen takes over play-by-play duties from Kevin Burkhardt who is currently covering the Major League Baseball postseason for FOX. This is normally the #2 FOX broadcast crew… This is the first of two 1:05pm kickoffs at home this season. A public service announcement to those attending; please be aware that kickoff comes 20 minutes earlier than the Chicago game. Make sure you leave the bars and tailgates a little earlier so you’ll be in your seats with time to spare… Terry McAulay is the referee this week. McAulay previously called the NFC Divisional Playoff between these two teams back in January… This week I will be tailgating in the sky. I’m taking a friend who lives in the Stadium Place apartments in the CenturyLink Field North lot. We’ll be on the roof hovering over those making their way into the stadium. It should be fun. I was up there before the preseason game against Oakland but the roof was completely empty. Maybe things will be spiced up since this is a regular season game… What I like about the view from his building is that you can eavesdrop into the stadium hours before the gates even open, so you get kind of a behind-the-scenes sneak peek at the gameday presentation rehearsals. After this game there will be a 28 day gap between home games. Normally that would be brutal but good thing I’m going on a couple of trips in between to dull the pain. Prediction: The Panthers always play us tough and this week will be no different. Russell Wilson will throw a touchdown to Jimmy Graham and Marshawn Lynch will run one in from 25 yards out. The Seahawks defense will be faced with a similar situation from last week and will redeem themselves. Needing a touchdown to take the lead, Cam Newton will be intercepted by Earl Thomas with less than two minutes left, clinching the Seattle victory. The Seahawks will get to 3-3, the same record they had after 6 games a season ago. In 2008 the New England Patriots made their first trip to Seattle since the 1993 season. I was looking forward to seeing Tom Brady play in Seattle but unfortunately he missed the entire season due to a torn ACL. 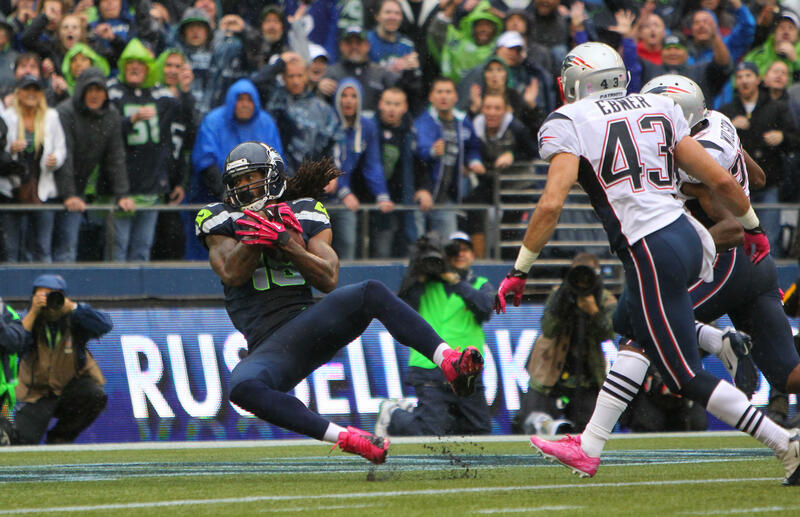 The Patriots re-appeared on the Seahawks home schedule in 2012, bolstering an already stacked slate of home games. With Tom Brady healthy this time around, I was hoping that a young Seahawks squad could knock off the AFC East incumbents to prove they deserved status as one of the better teams in the NFL. Little did I know that this would become one of the most thrilling Seahawks home games of all-time. Gameday started like any other; 6am wake up call, breakfast, shower, and a little NFL Network thrown in. My friend Modris (yes the same Modris from the #9 #10for10 game) met at my house in Seattle and we along with my friend Jake (from #10for10 game #10) and his brother took an Uber into downtown Seattle. We started at McCoy’s Firehouse in Pioneer Square and each had a 36 ounce Pabst Blue Ribbon at 9am. Shortly thereafter we moved to a tailgate in a neighboring parking lot where we would drink and barbecue until close to game time. Modris even went into another bar close by and randomly took a tequila shot. When asked why, his response was “why not? It’s the Seahawks!” Couldn’t agree more my friend. I wish I would have gone with you and joined in. After several Bud Lights and hot dogs, we headed into the stadium around noon. After getting out to a 3-0 lead the Patriots responded quickly when Tom Brady connected with wide receiver Wes Welker for a 46-yard touchdown pass to give New England their first lead of the game. The Seahawks re-took the lead later in the first quarter after Doug Baldwin reeled in a 24-yard floater from Russell Wilson in the endzone. The second quarter was all Patriots, as they put up 10 points and took a 17-10 lead into halftime. After a Steven Gostkowski field goal made it 20-10 Patriots, then came one of the more notable plays of the afternoon. The Patriots got the ball back but their drive stalled when Brady tested Seahawks cornerback Richard Sherman. Sherman leaped up in front of Deion Branch and intercepted the pass. This play eventually triggered the “U Mad Bro?” tweet following the game. With 9:21 left in regulation Gostkowski kicked another field goal to give New England a 23-10 lead. The Seahawks needed at least 13 points in the final 9:21 and against a team as good as the New England Patriots, that is a lot to ask for. Many 12’s believed the Seahawks were dead in the water at this point. The Seahawks wasted no time on their next drive. Wilson completed a pass to Golden Tate on the first play of the drive for 51 yards and 15 additional yards were tacked on after an unnecessary roughness penalty on the Patriots. The Seahawks later faced a 4th down and needed to convert in order have a chance to stay in the game. Wilson threw a wobbly fade to the front-left corner of the endzone and the pass was somehow hauled in by Braylon Edwards, cutting the New England lead to 23-17. After three drives which resulted in no points, the Seahawks got the ball back with 2:38 remaining and had a chance to take the lead. After converting a huge 3rd down, the Seahawks had Sidney Rice lined up with 1-on-1 coverage. Russell Wilson dropped back 5 steps, and launched what I still believe to be the prettiest pass he has thrown to date. Sidney Rice caught Wilson’s beautiful rainbow and Modris and I went nuts. The Seahawks had somehow come back to take a 24-23 lead and all we needed to do was stop the Patriots next drive and we would walk out of CenturyLink Field victorious. There have been several games over the years which have come down to the Seahawks defense having to stop the opposing offense to clinch the win. As a 12 this is what we live for, being able to get as loud as we can for one last drive to determine the outcome of the game. This final Patriots drive was no doubt the loudest it was at CenturyLink Field throughout the 2012 season. After an incomplete pass, Jason Jones sacked Brady and the crowd went wild. The Patriots were going to face a 3rd and long situation against one of the better defenses and loudest crowds in football. The pass fell incomplete and quickly the game came down to one final play, a 4th and forever from deep in Seattle territory. The Seahawks dialed up the pressure and although Brady was able to evade the pass rush, his conversion attempt came two yards short. The turnover on downs gave the Seahawks the ball and after two Wilson kneel downs, the Seahawks had completed the incredible comeback, knocking off the defending AFC champions 24-23. Just like how the crowd celebrated in amazement 3 weeks earlier against Green Bay, the mood walking down the stadium ramp after the game was sheer amazement and joy. We honestly could not believe we came back from two scores down to beat the New England Patriots. THE New England Patriots. Following the game we headed back to Pioneer Square and enjoyed more Bud Light at 88 Keys while watching the first part of Sunday Night Football. The joint was absolutely packed and it was one of the more festive atmospheres I have been a part of in all these years going to Seahawks games. Given who we beat and how we beat them, this game has definitely earned a spot on my #10for10 list. One thing is for certain, the dominant Seahawks defense of 2013 is absolutely gone. After a long 69-yard touchdown run by Thomas Rawls and a fumble recovery and touchdown from Bobby Wagner, the Seahawks could not protect a 17 point 4th quarter lead. The Cincinnati Bengals offense scored 17 unanswered 4th quarter points to tie the game and in overtime, Mike Nugent deflected a 42-yard field goal off the left upright to give the Bengals a 27-24 overtime win. The Seahawks fall to 2-3 and are now two games out of first place in the NFC West. The Bengals win improves them to 5-0 on the year. Like our loss in St. Louis back in week one, you can go in several different directions to try to place the blame on this loss. Here are the goods and the very bads from this excruciatingly upsetting loss. Rawls Has the Game of His Life: After failing to make a significant impact in place of Marshawn Lynch a week ago, rookie running back Thomas Rawls made a lot of noise in Cincinnati. Rawls averaged 7.3 yards per carry on his way to the most successful day rushing for a Seahawks running back since Shaun Alexander in 2006. Rawls finished with 169 yards and one touchdown; the aforementioned 69-yard touchdown run coming in the 3rd quarter. After this game I have become very optimistic that we may have found the eventual heir apparent to Lynch. Rawls ran with a purpose and did not go down easily. Given the result however it makes you wonder if Lynch would have had even greater success running on the Bengals defense. If Lynch misses his third straight game next Sunday, Rawls will have a very big role in our offense game plan against Carolina. #FireBevell: If you read my posts consistently you know by now that I am not a fan of offensive coordinator Darrell Bevell, yet here I am writing after another heartbreaking loss ready to unload my criticism of Bevell’s terrible play calling. Although I don’t believe he should be completely at blame for this loss, his fourth quarter and overtime play calling had me fuming mad. Bevell’s play-calling was extra conservative in the fourth quarter and the offense was forced into six punts to end the game. In the three Seahawks offensive possessions before the Bengals final three scoring drives in regulation, we were only able to take a combined 5:31 off the clock including two 3 and outs. In our final 5 drives we faced six 3rd down opportunities. Instead of trying to chew clock by running the ball, Bevell dialed up 4 passes (including a short screen pass in overtime to Fred Jackson on a 3rd and long) and Russell Wilson was sacked twice. To make things even more frustrating, Thomas Rawls was nowhere to be found late in the game when we needed him most. Why in the world would Bevell choose Jackson over Rawls in the most crucial situations when it was clear Cincinnati could not stop Rawls on the ground?! The long and short of it is this. It is as if we jump out to a 3 possession lead, the offense takes the rest of the game off, and Bevell has confidence in our defense, not his own unit, to be able to hold the lead. My opinion of Darrell Bevell stays the same, the Seahawks need to part ways with him. The sooner the better. Offensive Line Thoughts: If football was a three quarter game, my overall thoughts on the play of our offensive line would be different. After doing a much better job protecting Russell Wilson for the first three quarters, including flawless protection of Wilson on his first quarter touchdown pass to Jermaine Kearse, the offensive line crashed and burned late in the game when we could not maintain a drive. Wilson was sacked 4 times on the day. Although the group showed growth and improvement it may be time to think about making changes. I mean think about it; our right three linemen consist of two defensive line converts (Drew Nowak, J.R. Sweezy) and a former college tight end (Garry Gilliam). Bengals defensive linemen Geno Atkins and Carlos Dunlap had their way with our line, combining for 10 tackles and 2.5 sacks. If I had the power to rebuild the line, this is what I would do. I would move Justin Britt back to right tackle, start the disgruntled Alvin Bailey at left guard, and replace Nowak with Patrick Lewis at center. Defensive Collapse: How much time do you have? I’ll try to keep this segment as to the point as possible. Our defense played a terrible game. 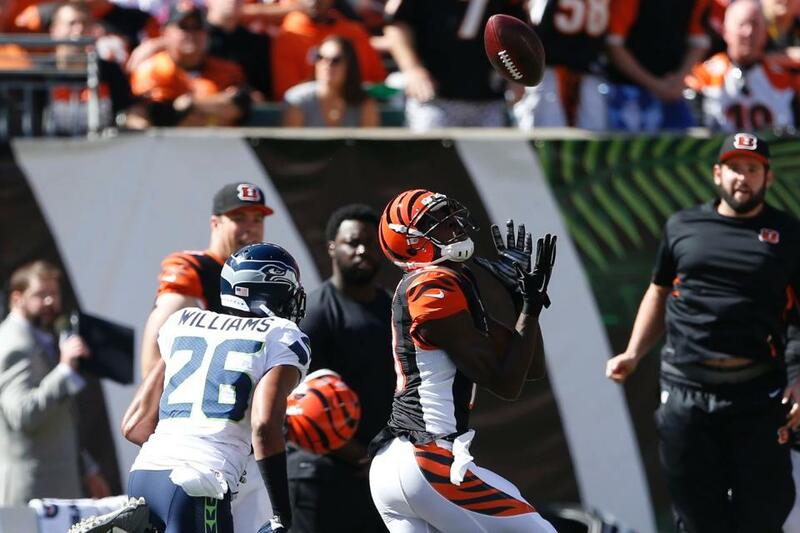 Kam Chancellor was beat by Cincinnati tight end Tyler Eifert on two touchdown passes and quarterback Andy Dalton kept throwing in the direction of Cary Williams, who had a difficult time with not only A.J. Green, but the entire Bengals receiving corps. Williams was also flagged for an obvious pass interference penalty on Cincinnati’s game-tying drive at the end of regulation. Once again we could not stop the Bengals on third down, as they converted 40 percent of their third down chances. What was also frustrating was how we attacked Dalton late in the game. After extending our lead to 17-7, it was clear Dalton was cracking under pressure and on the verge of a total meltdown which is something that he has been prone of over the years when facing a deficit. For a while it looked like we were doing a good job putting pressure on the Bengals offense but we were only blitzing three or four guys late in the game. That plus the excellent blocking by Cincinnati’s offensive line gave Dalton a good clean pocket to work with. It is clear our defensive has regressed, especially on the road. We have blown 4th quarter leads in each of our 3 losses, twice holding a lead of 10 points or more. Thoughts on Cincinnati: The talent the Bengals have is as good as advertised. Andy Dalton is blossoming into a borderline-elite quarterback and the weapons they have on offense only help his case. Their defense may be one of the best units in all of football and they will continue to win games so as the unit stays healthy. This team is a lot better than I thought they would be before the season started. The common commentary however has been “making these wins happen in January instead of in the regular season.” The way I look at it after 5 weeks, this is the only team that can challenge the New England Patriots for the AFC championship. Random Thoughts: It was awesome to have the guys over again this week. Too bad one of them made it over when we had a 24-7 lead. You’re definitely a jinx Jake. At least I didn’t guarantee victory like against the Rams… I hate when FOX cuts to the skycam for live plays. I think it is great technology to have for replays but the perception really changes live. There was one play in particular, an Andy Dalton bubble screen, where the camera had to move at a 90 degree angle to show it and by the time the camera whipped around the play was pretty much over… See what I mean about Andy Dalton’s hair?? ?… This loss reaffirms my opinion that I would rather be blown out than lose a close game. I predicted we would lose but at the same time we had a 17 point lead, so because we put up a better effort than I thought we would does that mean I should feel better? This loss hurts way worse than if we had lost badly because in my eyes we had this game won and we just gave it away… Just once I want to have my fantasy team win and the Seahawks win in the same week. I started my fantasy football season 2-0 and the Seahawks went 0-2 in that span. Then I lost my next two fantasy matchups and the Seahawks won two straight games in those weeks. This week it looks like it will be the same old story. I win, Seahawks lose. I’m cursed. What’s Next: The #6 game in my #10for10 series will be published on Thursday. Also, check back next Saturday when I preview our week 6 game against the Carolina Panthers. The onslaught of tough defensive lines continues for the Seahawks this week. The Seahawks head to the Queen City for the first time in 12 years on Sunday as they take on the AFC North leading Cincinnati Bengals. After winning last Monday the Seahawks are 2-2, tied for second place in the NFC West. The Bengals are 4-0 and they off to their best start since 2005. Cincinnati leads the all-time series with Seattle 10-9. In their last meeting back in 2011, the Seahawks started Charlie Whitehurst at quarterback but his dismal performance early in the game caused head coach Pete Carroll to substitute in an injured Tarvaris Jackson to finish it. 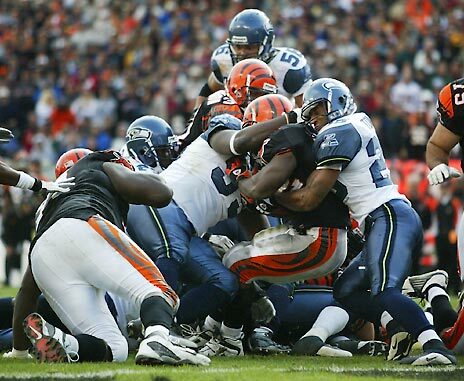 The Seahawks never got going and the Bengals won easily by a score of 34-12. This will be the very first time Russell Wilson and the Legion of Boom get to go against the Bengals, but Cincinnati poses difficult matchup problems with the talent they possess especially on defense. This will be an extremely tough challenge for the Seahawks. This is what to watch for. After the struggles on offense a week ago, a lot must change in both the passing game and running game in Cincinnati. It would be in our best interest to exclusively run a package of quick passes and roll-outs. Given the shaky play of our offensive line recently, the Seahawks will run the risk of putting quarterback Russell Wilson in harm’s way if he stays in the pocket and tries to go through his progressions. Do not be surprised if Jimmy Graham has another lackluster outing on Sunday. Tyler Lockett and Doug Baldwin should be Wilson’s go-to guys if we stick to short passes. I believed that we could beat Detroit without running back Marshawn Lynch. Although we won with Thomas Rawls carrying the load, this week we will be in deeper trouble offensively with Lynch once again inactive and Rawls getting the start. A successful day on the ground should be a minimum of 70 yards rushing yards out of Rawls. The Cincinnati Bengals have one of the most explosive offenses in the league. Gone are the days of Carson Palmer throwing to Chad Johnson and T.J. Houshmandzadeh. Now it is Andy Dalton, Cincinnati’s 5th year quarterback, who has led the Bengals to the playoffs in each of his first 4 seasons. The Bengals have a plethora of talent at the skill positions but the interesting thing will be to see how well the Seahawks defense matches up against these players. Number one wide receiver A.J. Green has averaged 104 receiving yards per game over his first 4 games and he will garner the attention of Richard Sherman. Seattle cornerback Cary Williams will line up across from Marvin Jones. Expect Dalton to throw in the direction of tight end Tyler Eifert a lot, especially in red zone opportunities. Eifert has averaged just over 5 targets per game but co-leads all Bengals receivers in touchdowns with three. The Bengals also sport a two-headed monster in the backfield with running backs Jeremy Hill and Giovani Bernard. Hill and Bernard combined have averaged 115 rushing yards per game but they will be facing the best front seven they have seen all season long. If there is one stat to note about the Bengals offense it is this. Dalton likes to take shots down the field at any given time so be on the lookout for him to test the Legion of Boom, especially in the first quarter. Cincinnati has outscored its opponents 35-6 in the first quarter so far this season. An early lead has been the norm so if the Seahawks can hold the Bengals to less than a touchdown in the first quarter it will bode well for the rest of the game. Given the horrible play of the Seahawks offensive line recently, this is the kind of matchup that probably makes the mouths of the Bengals defensive linemen drool. Cincinnati is tied for 6th in the NFL in sacks and they sport two of the game’s better defensive players along their line. Geno Atkins is a sack master who does a great job penetrating the interior line of scrimmage. So far this season he already has 3 sacks. My main focus however is the man that will likely go up across from Seahawks right tackle Garry Gilliam. My X-Factor Player to Watch for Cincinnati this week is defensive end Carlos Dunlap. Dunlap leads all Bengals defenders in sacks with 3.5. He has recorded at least one sack in 3 of their first 4 games but has yet to face an offensive front as weak as Seattle’s. His tackle numbers are not high and after watching film, Dunlap plays his best on passing downs. If the defense does a good job forcing the Seahawks into third downs, Dunlap’s presence on the field will definitely be felt. It will be up to the Seahawks to keep the tempo up and move the ball successfully in early down situations in order to make Dunlap’s impact minimal or obsolete. Random Thoughts: The Seahawks announced on Friday they will wear white jerseys and College Navy pants. Cincinnati wore their orange alternate jerseys last week so chances are very good they will wear black jerseys and white pants this week… This week FOX has the Sunday single-header, and Seahawks/Bengals is the most attractive matchup on their lineup, so Joe Buck and Troy Aikman will have the call… This week’s referee is John Parry… This next point I feel obligated to discuss. Andy Dalton is the only redheaded starting quarterback in the league. Watching him speak in his press conferences this week I cannot help but be jealous of how his hair looks. My red hair looks good short but once it starts to curl it gets disproportionate and all over the place. Dalton has wonderful-looking straight red hair. I would trade my red hair for his red hair 11 times out of 10… This is the last Seahawks game I’ll watch at home until we play the Minnesota Vikings in week 13. Crazy. Prediction: Any road game is tough especially at 10am pacific time, but I think this will be a very long day for the Seahawks on offense. Russell Wilson will be sacked 5 times and will throw two interceptions on tipped balls. Marvin Jones will catch one touchdown from Andy Dalton and Jeremy Hill will run for two more. The Seahawks will head home 2-3 and will be pressured to make offensive personnel changes before we take on Carolina in week 6.